Finally made it to review #300 and decided to open a bottle from Oxbow. They have only bottled two of their beers; this Barrel Aged Farmhouse Pale Ale and their Arboreal. Oxbow’s Farmhouse Pale Ale is one of my favorite beers from Maine so I am expecting the barrel aged version to be just as good. The bottle is your typical 750 ml with a very classy black and white label. If you have a bottle of this beer be prepared when you open it as mine had a bit of an eruption. Cool to look at but caused quite a mess on the dining room table and also wasted some very good beer. Have a glass ready and be sure to save every ounce. Pour is a cloudy light orange color with minimal head. Nice earthy aroma with some wood (oak). Overall a pleasant smelling beer that will draw you in. The barrel aging takes a beer that already has plenty of flavor and adds another layer of complexity. You still get the grassy, citrus, floral taste of the FPA but with a bit of extra funk from the Brett and wood from the barrel. 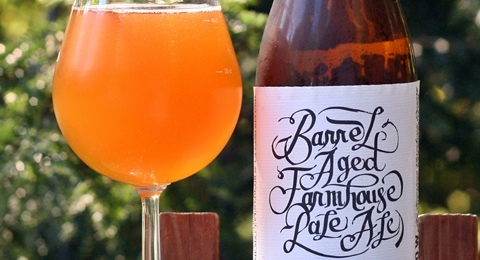 I find barrel aging to be hit or miss – but it seems to work well with this beer from Oxbow. These guys just make great beer and their first venture into bottling and barrel aging works. 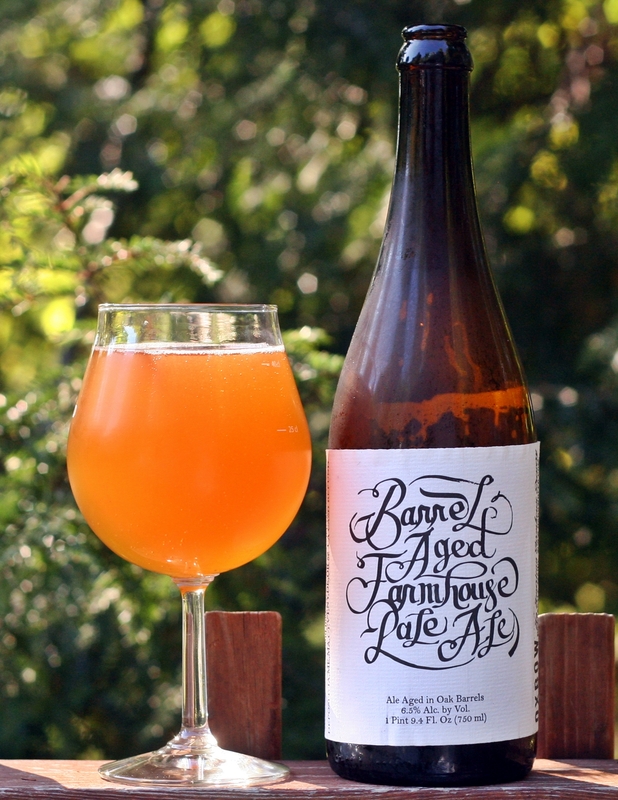 Brewers Description: A farmhouse ale fermented in stainless steel and aged in oak barrels with Brettanomyces.